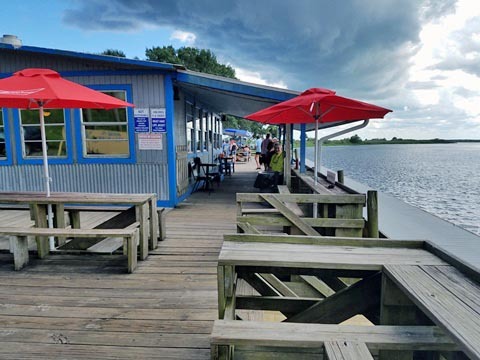 ﻿ 20 Waterfront Restaurants, St. Johns River FL. Day Trips. Maps. Looking for something off the beaten path? 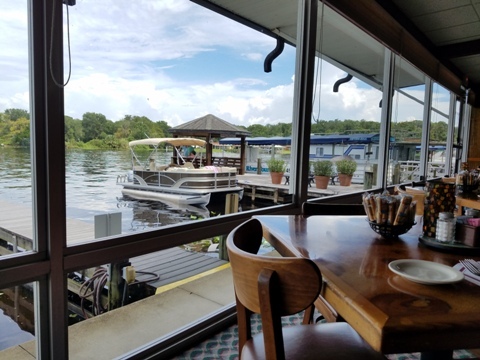 Enjoy eateries and entertainment along Florida's historic St. Johns River. Here are some great day-trip ideas, with E-z Google maps and photos. 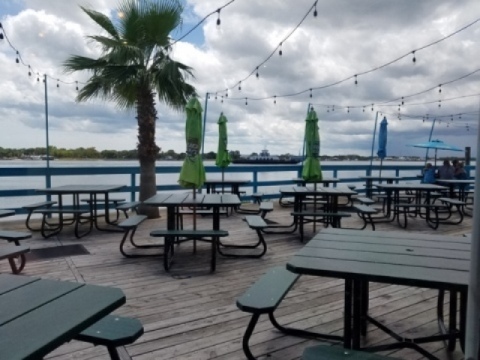 Many venues retain an "Old Florida" feel, with river views, fresh air, and wildlife. Here we report on 20 restaurants along the St. Johns, grouped geographically into 4 River regions, each with its own unique characteristics and flavor. Several State and National Parks, Forests and Preserves are located along the way, offering options for outdoor recreation to make a day of it. Going with the River's flow (from south to north), we start near the headwaters outside Melbourne, FL and follow the current north to the Atlantic Ocean at Mayport. The South Region is dominated by flood plain & open vistas. 5 former fish camps are now food & fun venues. Airboat tours are popular. Plenty of alligators here. In hunting season, some may wind up on the menu. This region offers 5 venues for food, drink & festivities along the south shore of Lake Monroe, Sanford, FL, just north of Orlando. 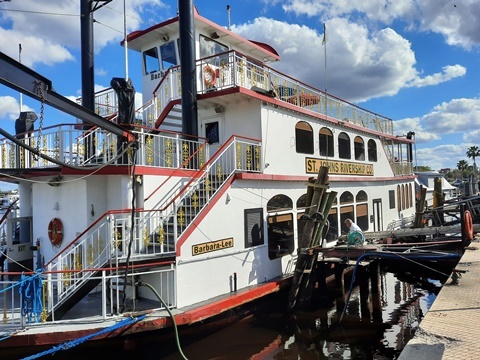 The St. Johns Rivership Barbara Lee is a unique feature, with lunch and dinner cruises. Here, the St. Johns River forms the eastern boundary of the Seminole State Forest and Ocala National Forest. Nearby springs and ecotourism are draws. Tall oaks, Spanish moss, pleasure boats, bass fishing. The river in this region becomes wider and deeper, flowing through Jacksonville and eventually into the Atlantic. Options include reinvented old fish camps to fresh caught from docks near the sea.